The 2.5acres that encompass the property are filled with many different areas for you to enjoy. From lazing by the river in the hammock, to being taken for a river stroll by Gulliver or just enjoying all the gorgeous plants and flowers on the property you'll find a new discovery around every corner. The River Lodge is an amazing location with magnific view to the mountain (Mt. 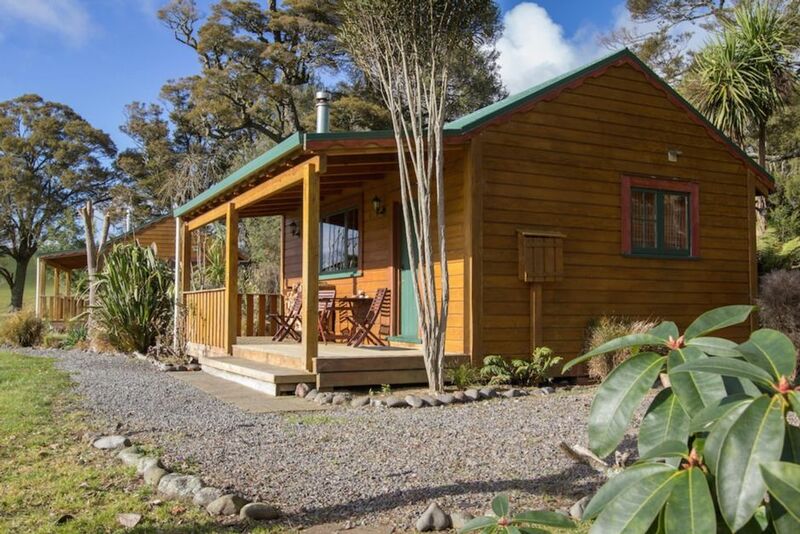 Ruapehu).I have seen this property and knew, thats it what I will do! Bring the place to a glance and make it suitable for other people. Guests from overseas and locals. You should walk in the gate and say WOUWW, then my mission is competed! It is my goal to create a unforgotten moment for you and your loved on a beatiful spot. There are two fireplaces at the property which can be used. Dishwasher in main house can be used. A good selection of coffees, teas and chocolate is ready for our guests. Kitchenette in Chalet. Kitchen in main house can be used. BBQ Grill, Smoker and Pizza oven can be used too. Dinning rooms in the main house can be used. Can be used on the property. Kayak tours can be booked at the Whanganui River. Quality Bikes can be rented in town. a good guide with tour is available. High- and lower quality gear can be hired in town. 2.5 km away from The River Lodge. Great view to the mountain (Mt. Ruapehu). For our Chalet guests a private Hot tub is available. Book it at breakfast and it is ready for you at 5pm.